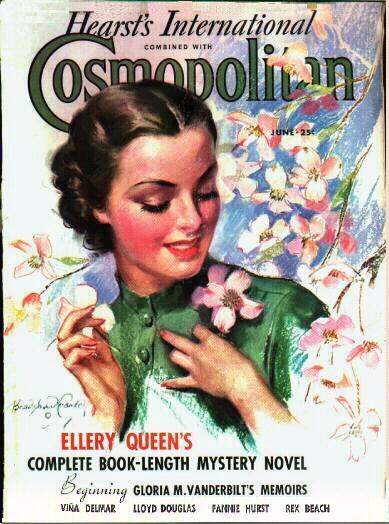 A condensed version of this novel appeared in Cosmopolitan (June, 1936). I wonder what was cut out of, or later added to, the final product. This novel stands as one of the most intriguing Queen mysteries to date. Once again, Ellery has “escaped” the city. And what does this mean? Most of the novel occurs outside of Manhattan. Could the subtle suggestion be that life outside of the big city is fraught with peril? Perhaps. The novel starts with another examination of Ellery’s culinary tastes: he’s found in a Trenton restaurant eating pig’s knuckles and sauerkraut. I can not really think of much more perilous food than pig knuckles. The title of the book comes from the fact that the victim, who led two lives, was murdered in a shack he used to transform himself between his two worlds, of the idle rich and one of the working poor, halfway between New York and Philadelphia. A halfway house is also a transitional place of recovery, which fits the descriptions of the Depression. 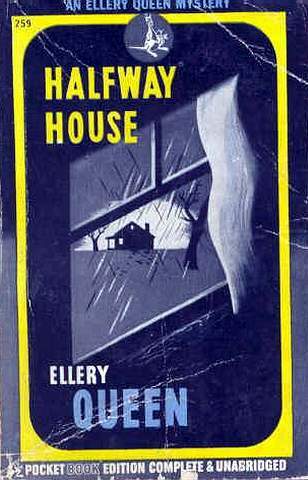 The title is also the first Ellery Queen novel to not follow the nationality/noun format. The introduction, fictional J.J. Mc’s final appearance, suggests that the book could have been called The Swedish Match Mystery, but I think we can all agree that Halfway House was a far better title. As far as other conventions go, this novel contains the final formal “Challenge to the Reader,” along with the conceit of the dying clue, which appears here as the victim’s final words. However, what sticks in the mind is the actual story. A man lives two lives, one among the wealthy in Manhattan, and one as a traveling salesman in Philadelphia. Both persons are married. So, then the question is, which one was murdered, and, of course, who done it? It is an interesting question, especially when the third option, “both,” is added to the equation. Who could possibly have known the secret of the two identities? Who else could be knowledgeable of the two distinct worlds the victim inhabited? A new character is introduced: the extrovert reporter Ella Amity, who ignores police lines to get her story. She even tolerates sexual harassment from the chief of police, Dejong: “DeJong winked at Ellery and slapped her round rump. She giggled, lunged at Bill Angell, hurled questions at him, scribbled some more, threw him a kiss, and darted out of the shack.” And it does not stop there. A few pages later DeJong, determined to prove the murderer a woman opines, “And from time immemorial the female of the species has found in the knife the fullest expression of her homicidal impulses.” Really? Stabbings suggest female culprits? Are gins male? What, then, is poison? The imagination reels. Strong class commentary. This is a story of the Great Depression, of the best of times, of the worst of times, of duality. One stroke victim is even described, “it was if he were composed of two bodies, one alive and one dead.” Halfway House.